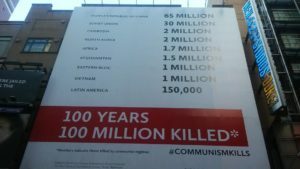 October 9, 2017. New York City. Columbus Day is meant to celebrate the achievements of a great man, Christopher Columbus. 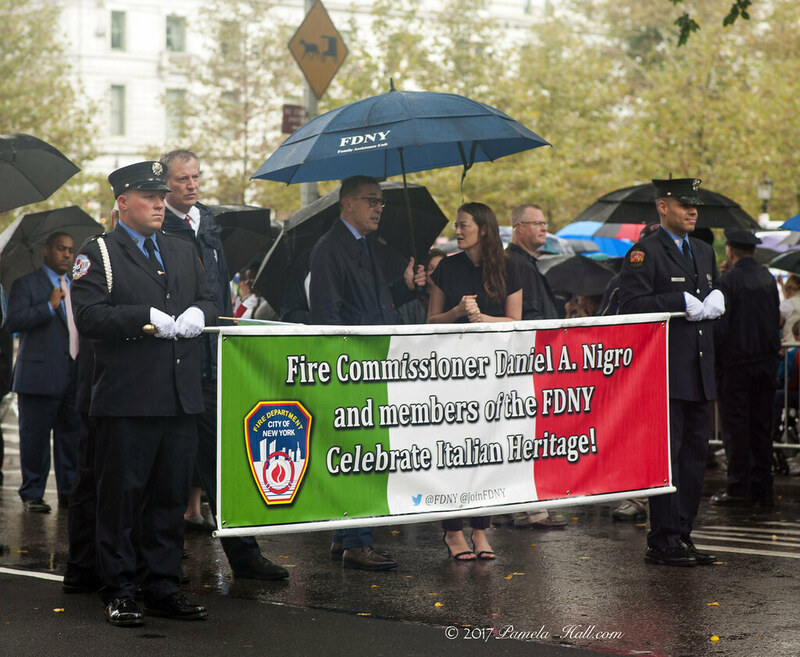 It is a day when Americans celebrate the contributions of Italian immigrants. It is a day to mark the first chapter in the story of the United States of America, the greatest country on earth. It is a day that should fill all Americans with pride. 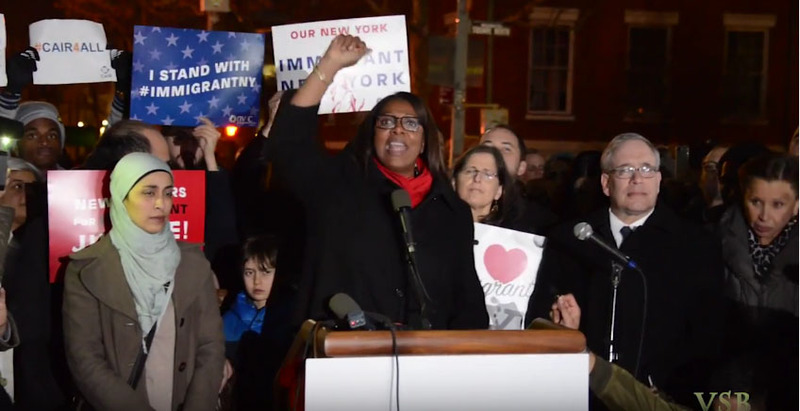 For seventy-three years, New Yorkers have marched to celebrate this occasion. This year, malcontents on the Left and the Democratic politicians that kowtow to them tried to ruin this wonderful day. Read more of how sensible people have become fed up with this divisive nonsense. 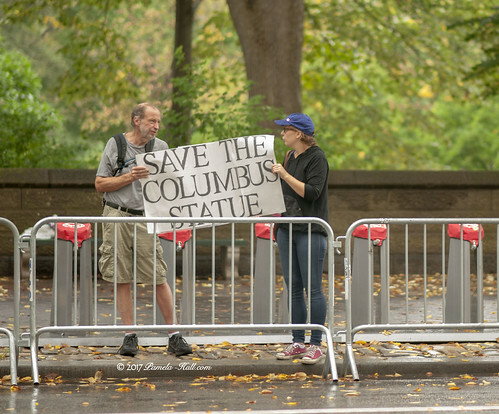 But what I heard and saw was a lot of happiness, particularly when they saw the “Save the Columbus Statue” signs. The usual suspects have discovered that Christopher Columbus was no 21st century liberal. Of course, that shouldn’t surprise anyone since he lived in a time of empires, slavery, monarchies, and ignorance. But he rose above his time and literally united the world. Without him there would be no America, no us. 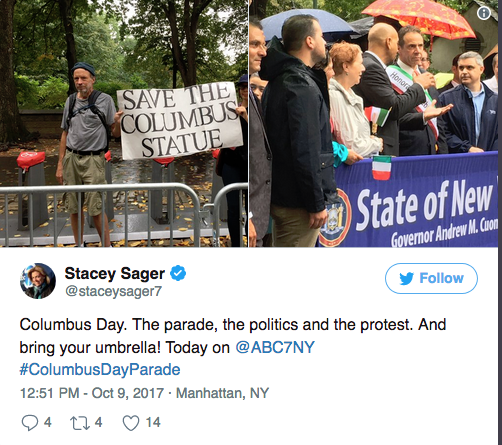 NYC Italian-Americans: Save Columbus Circle Statue! 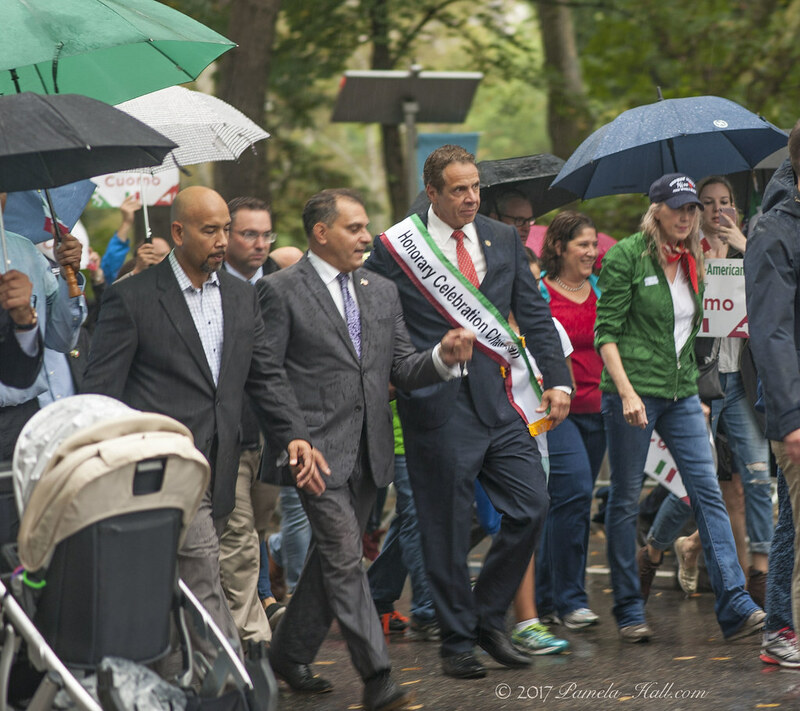 Some 35,000 people are expected to march in Monday’s Columbus Day Parade, which will wind up Fifth Avenue from 44th Street to 72nd Street, honoring the explorer sent by Spain. Columbus is celebrated in Latin America, too. A massive monument to the explorer, the Columbus Lighthouse, opened in 1992 in Santo Domingo, in the Dominican Republic. Puerto Rico commemorates Discovery Day on Nov. 19, marking the day Columbus landed there. Ralph Arellanes, chairman of the activist group Hispano Round Table of New Mexico, said that as a Hispanic, he supports Columbus Day. Arellanes also said he doesn’t understand why Italians claim Columbus for themselves when Columbus was sailing for Spain. Columbus Day recognizes the achievements of a great Renaissance explorer who founded the first permanent European settlement in the New World. The arrival of Columbus in 1492 marks the beginning of recorded history in America. Columbus Day celebrates the beginning of cultural exchange between America and Europe. After Columbus, came millions of European immigrants who brought their art, music, science, medicine, philosophy and religious principles to America. These contributions have helped shape the United States and include Greek democracy, Roman law, Judeo-Christian ethics and the tenet that all men are created equal. Columbus Day is one of America’s oldest holidays. 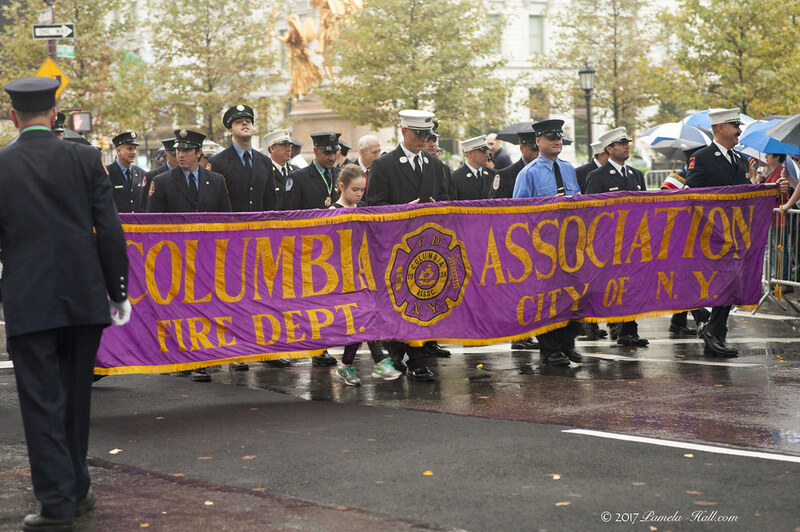 The tradition of observing Columbus Day dates back to the 18th century. 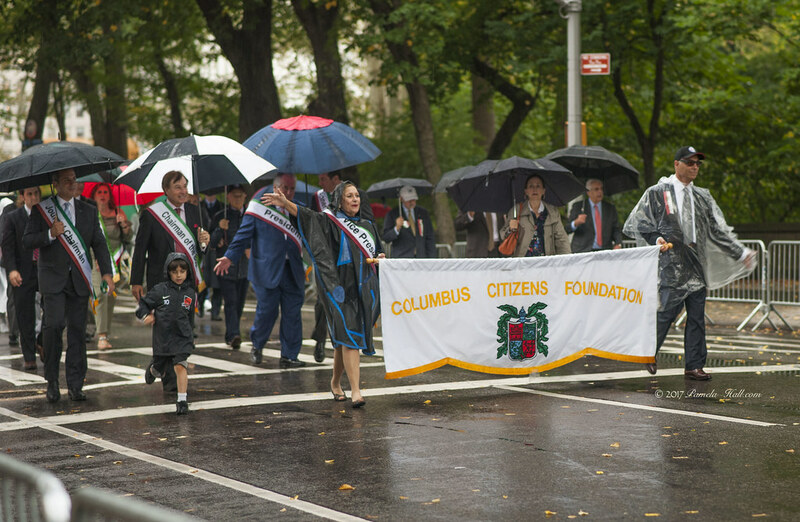 It was first celebrated on October 12, 1792, when the New York Society of Tammany honored Columbus on the 300th anniversary of his first voyage. Columbus Day is a patriotic holiday. In fact, the Pledge of Allegiance was written in 1892 in honor of the 400th anniversary of his first voyage. That year, President Benjamin Harrison declared Columbus Day a legal holiday. The United States has long admired Columbus. America has more monuments to Columbus than any nation in the world, according to the Christopher Columbus Encyclopedia. These include a Columbus statue in Providence, R.I., cast by Frederic Auguste Bertholdi, who created the Statue of Liberty, and one in New York City, created by one of the six Italian American brothers who carved the Lincoln Memorial. The United States has a significant collection of Columbus memorabilia, including his desk, papers, and the cross he used to claim the New World for Spain. These are in the Columbus Chapel in Boalsburg, Pennsylvania. 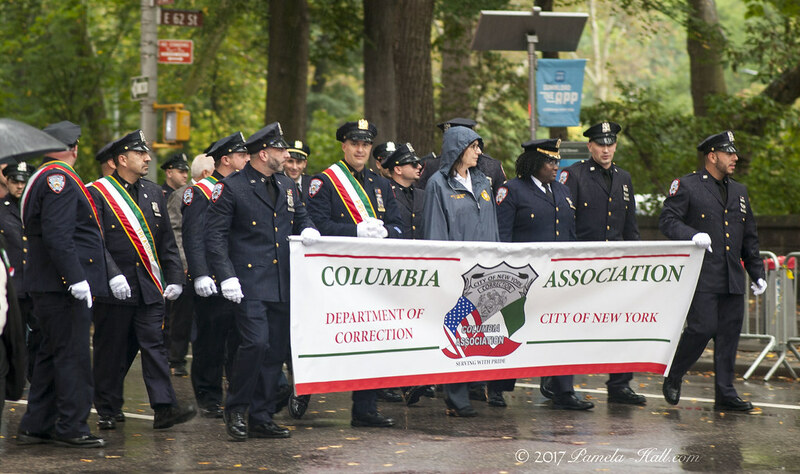 In 1971 Columbus Day became a federal holiday in all 50 states after Congress passed a law declaring the second Monday in October Columbus Day. Columbus Day also commemorates the arrival on these shores of more than 5 million Italians a century ago. Today, their children and grandchildren constitute the nation’s fifth largest ethnic group, according to the U.S. Census Bureau. 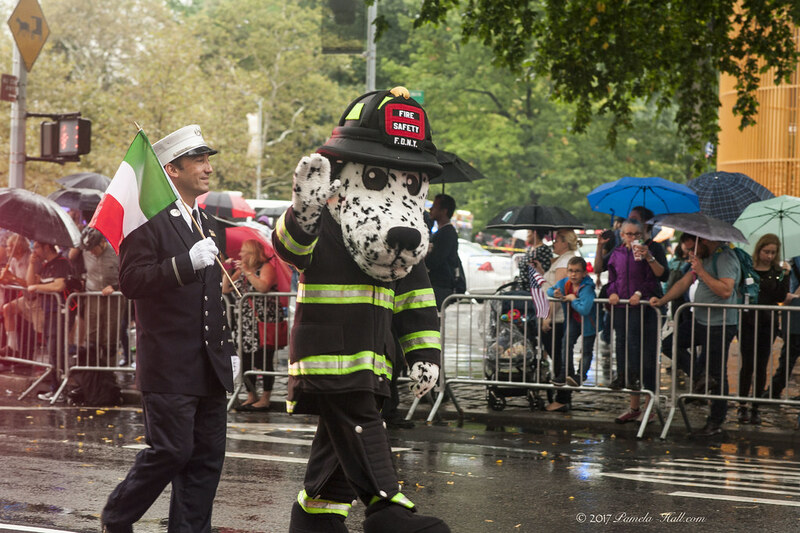 Columbus Day is the only day on which the nation recognizes the heritage of an estimated 26 million Italian Americans. Prepared by: The Order Sons of Italy in America in Washington, D.C. This entry was posted on October 18, 2017 at 2:53 PM and is filed under News. You can follow any responses to this entry through the RSS 2.0 feed.